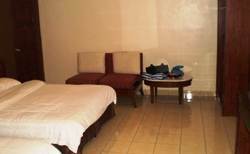 This is one of our favorite budget hotels in Pantai Cenang. It's located right on the Pantai Cenang beach. The resort is spread out along a fairly large stretch of the sand. 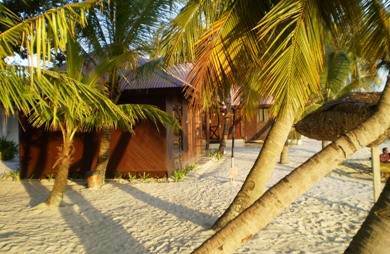 There are chalets, two storey buildings and tree houses scattered along the beach. As you come out of your room, you will be standing on the sand and with wonderful view of the sea. Most rooms offer great views through the windows as well. The best and most romantic ones are the beach front chalets. The resort belongs to the Baron group, a family business that has several hotels across Langkawi including in Pantai Cenang and Kuah. But this is essentially a basic hotel with very limited service. As you walk in, there is a reception area at the small main building. While checking in, you will be required to pay a key deposit fee of RM100 which is common with most of the budget hotels in this area. It will be of course refunded when you hand over the key when checking out. A waiter will help you to show your room or the chalet. He can also help you carry some of your luggage if you so want. Some chalets and rooms can be a bit of a walk from the reception. Although there is a narrow concrete pathway through the sand leading to the rooms, it often gets covered with sand. You are likely to find yourself pulling your luggage trolleys over the sand and that can take some effort. And if it rains, it can get worse. The beach front tree houses and the chalets have the best view and are the most expensive. 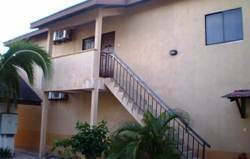 The resort has a total of over 90 rooms and chalets. 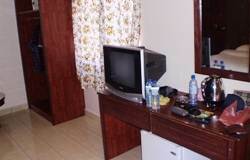 All rooms have standard amenities like geysers, TV, AC and most even a small fridge. 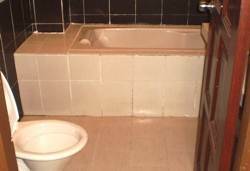 Rooms are in general spacious and clean. All rooms have their own names. During our last visit, we stayed in the room called Teluk Rami, which is a Superior Deluxe room in one of the two story houses. The room was really big and nice, in the second floor and offered a partial view of the ocean. They make the beds every day. There is an Indian restaurant called India Palace that occupies the front part of the main building. When you stand on the road facing the resort, the restaurant is right in front on the left. Although it is located in the hotel premises, the space is leased out and the restaurant has a separate management. Often it puts on loud Hindi music which can be quite annoying to some. We tried the food there once.. average quality & taste, and moderate price. It serves Chines cuisine as well. We didn't find anything special about the ambience or food. There are over 90 rooms comprising of beach front chalets, family rooms, tree houses and two storey houses each having four large rooms. There are also roadside rooms that have no views. You can however easily take a few steps out to the beach. Wi-fi is available at the lobby/reception area. Car parking is available in front of the main building and on the road. Check in: 3pm, Check out: 12noon. Early check in is almost impossible. If you arrive early, you will likely wait unless you are lucky. Airport is only 5kms and takes about 12 minutes by taxi. There is a taxi stand across the road on the left. Taxis are easily available. The hotel can also arrange for airport transfers. You may not get taxis very early in the morning or late at night. Distance to Kuah town is 14kms and takes about 20 minutes. The best part of the resort is its location. 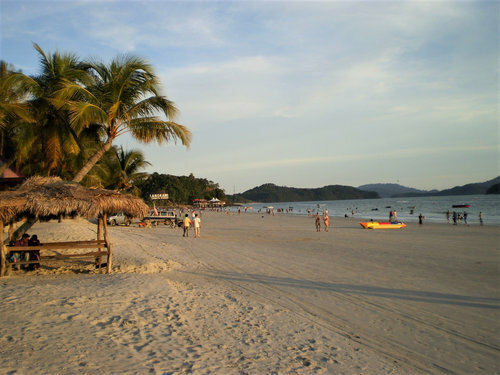 While it is located on arguably the best & most popular beach of Langkawi, i.e. Pantai Cenang, it is also best located when it comes to shopping and restaurants in the area. When you come out of the hotel, you will get all kinds of shops, restaurants and bars lined up on both sides of the road. In the evening with shops & restaurants illuminated with glittering lights, the place really becomes very lively. You will find most tourists taking a stroll along the road and finally choosing bar or a restaurant to settle down for the evening till late hours. You can of course walk along the beach itself and reach one of the popular beach bars close by. They can be accessed from the road as well. While on the beach, you can indulge in all kinds of watersports activities during the day time. There are watersport kiosks right there offering banana boating, jet ski, boat tours to nearby islands etc. The beach is quite good for swimming as well. You will see many doing parasailing from the beach. Check out Pantai Cenang Guide to know about dining, shopping, nightlife and activities in the area. There are small hut structures with slanted straw roofs offerings shaded seating on the beach. You can actually take a beer and enjoy the beach activities sitting there. The resort also provides limited lounge chairs and umbrellas on the beach. In my view Malibest travel desk offers the best Geopark & Mangroves Boat Tour in the island at a very reasonable price. This is by far the most comprehensive tour and even includes one hour of swimming at the lovely Tanjung Rhu beach. Hotel guests get discounted rate for the tour. As I mentioned earlier, this is a basic hotel and you won't get much service here. If you call for room service, most times no one may turn up. The front-desk persons sometimes can be very slow and may appear to be unfriendly. Although there is a TV in every room, it shows only a few local channels. In one occasion we got a room which was showing signs of lack of maintenance and the air conditioning wasn't working as it should. We had a safe in our room which did not work. Pantai Cenang, Mukim Kedawang, 07000 Langkawi, Kedah Darul Aman. Malibest Resort is located centrally in Pantai Cenang. While the entrance is right on the road Jalan Pantai Cenang, the accommodations are all on the beach. There is a taxi stand almost across Malibest Resort. Taxis are available after 7am.